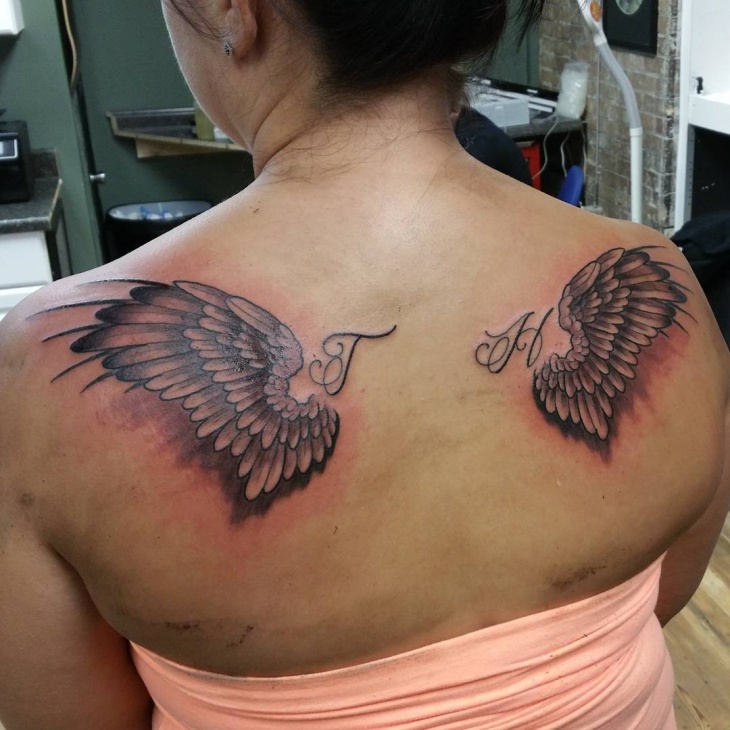 What do wings mean to you? 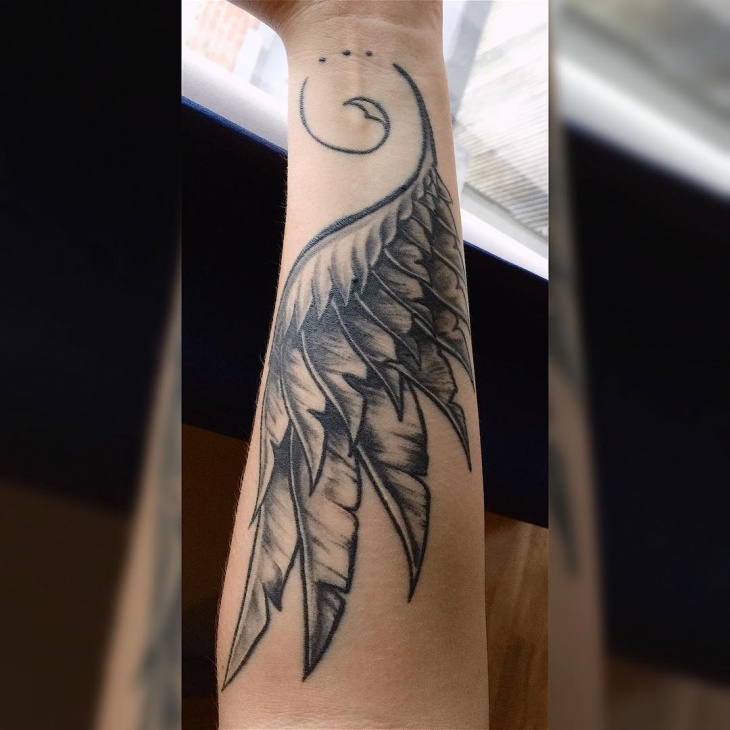 A wing tattoo according to us is a depiction of freedom. It is a state of mind where you feel like one can achieve anything and has the wings to fly to any level of success. 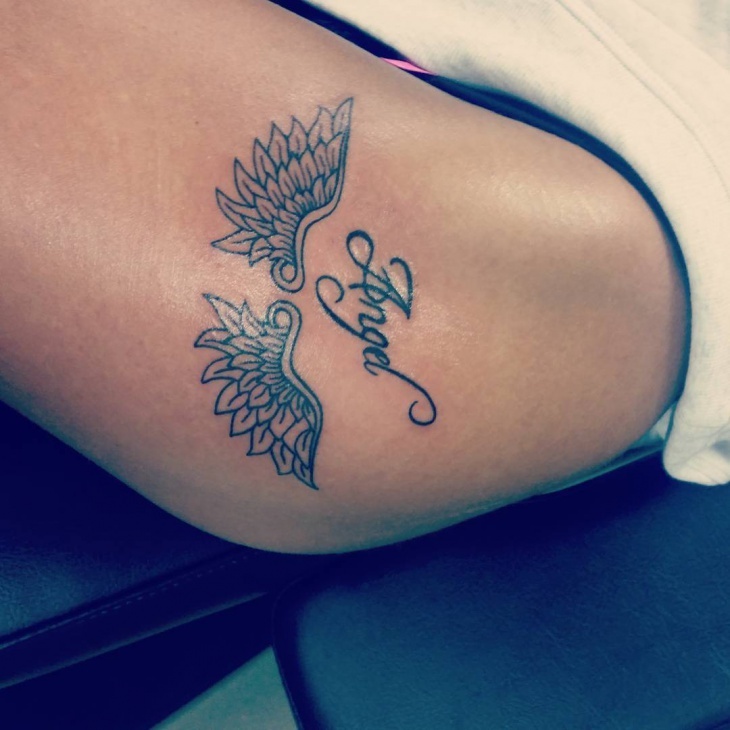 We have come across 20 mind-blowing designs that you could consider in case you wanted a tattoo on the similar lines. 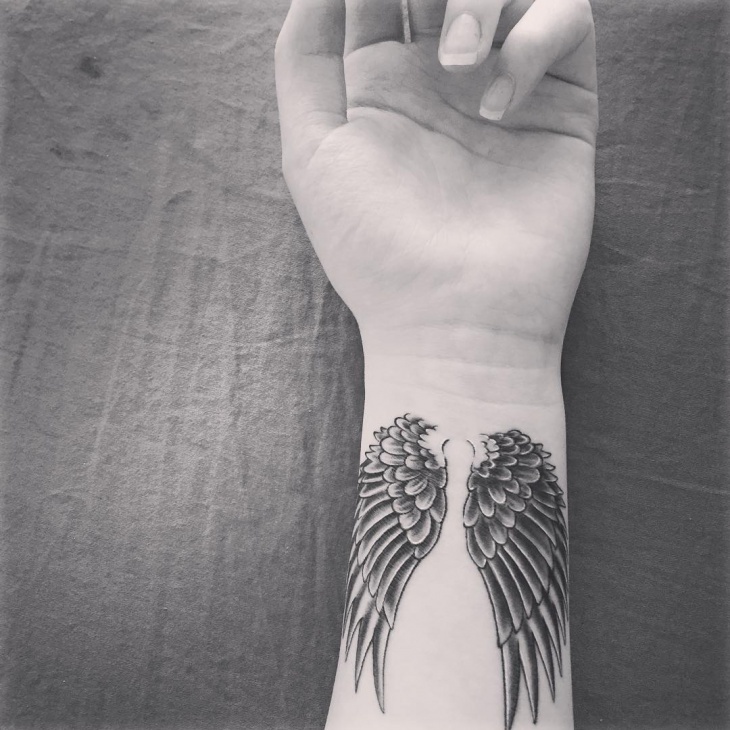 This Angel Tattoo looks perfect on the wrist. 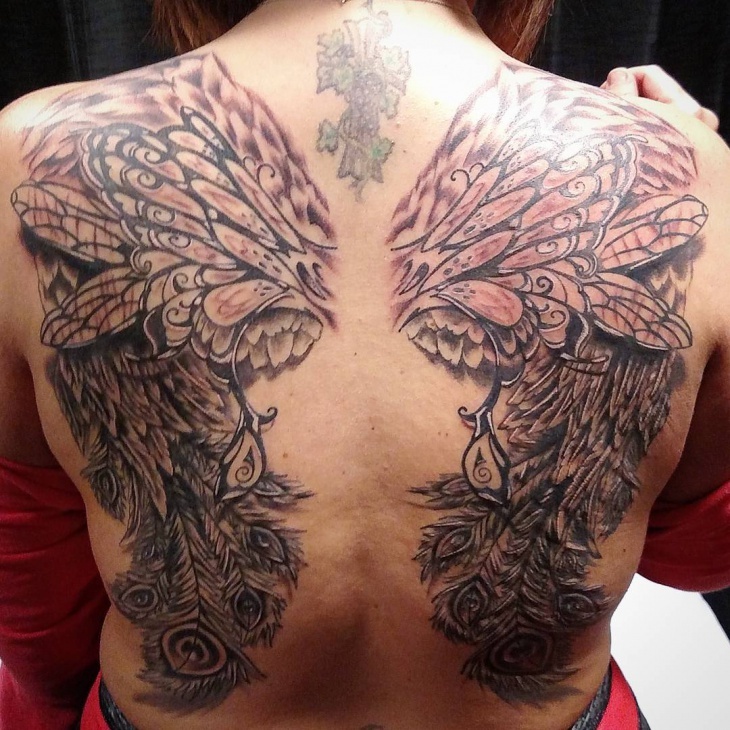 The multiple layers done onto the wings makes it look very different. The semi shading done onto it gives it a perfect look and brings out the essence beautifully. 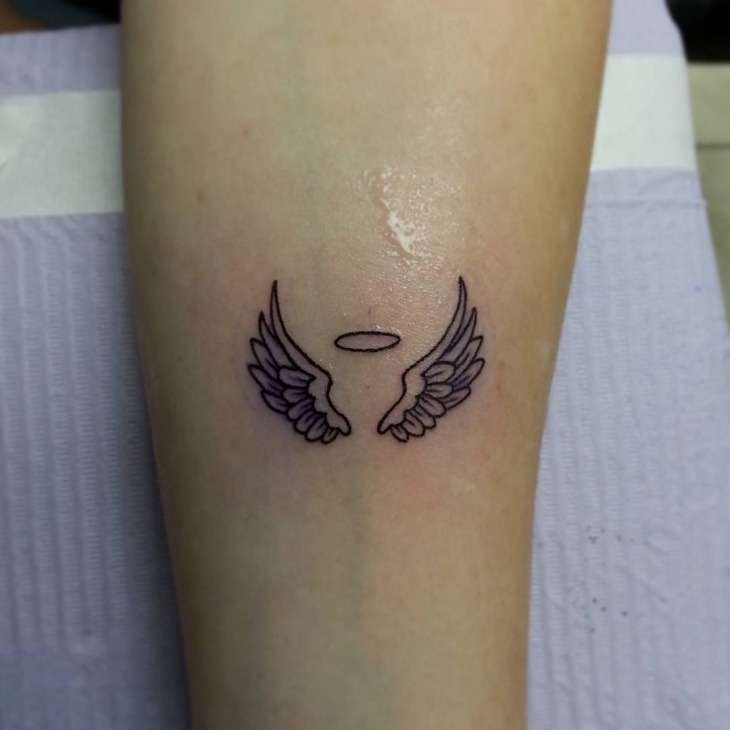 This Angel Tattoo is small and looks very simple and elegant. 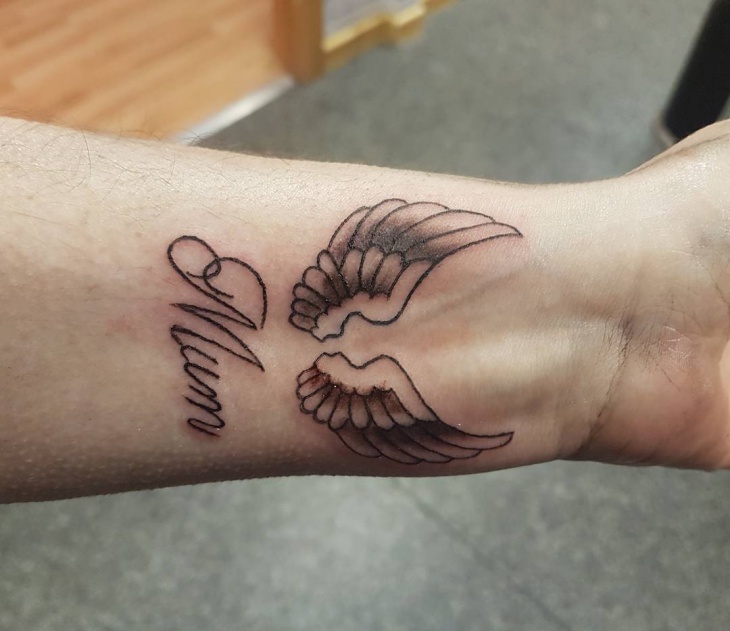 It has the word ‘Mum’ tattooed below the wings. There is minimal shading done on it but it looks pleasant overall. 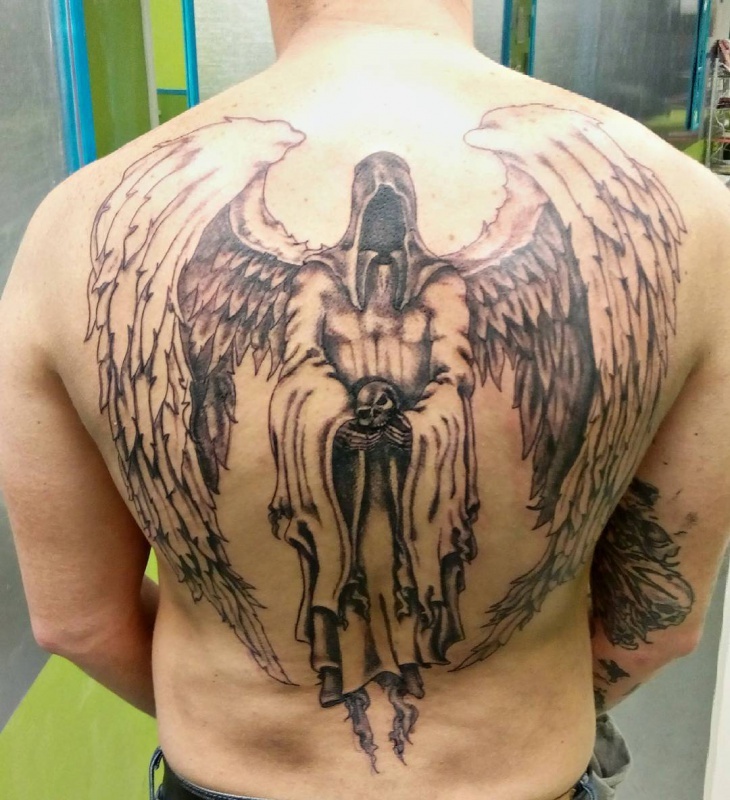 This is one crazy tattoo design but we absolutely loved it. 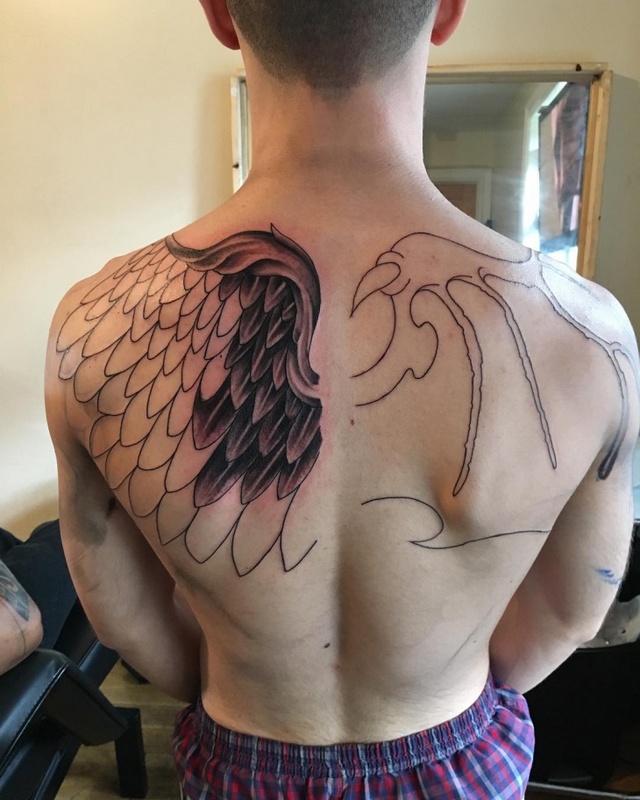 The wings have so much detailing done to it. There is so much intricate work done on it and it has been extended with peacock feathers. 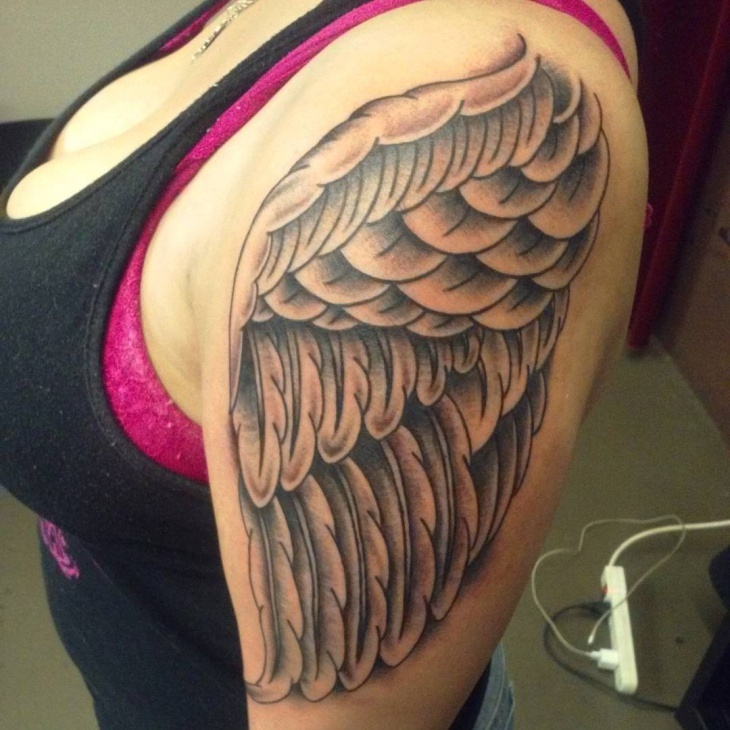 The shading, coloring and the design itself, we love all of it. This design is a little different from the others we have seen. They are wings but the exact form has not been brought out. 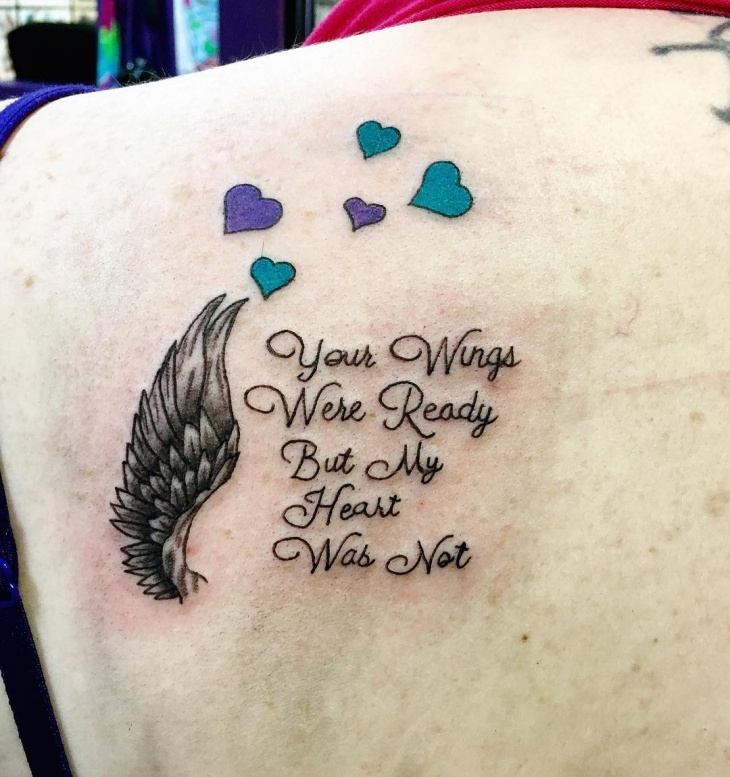 This is a different set of wings. 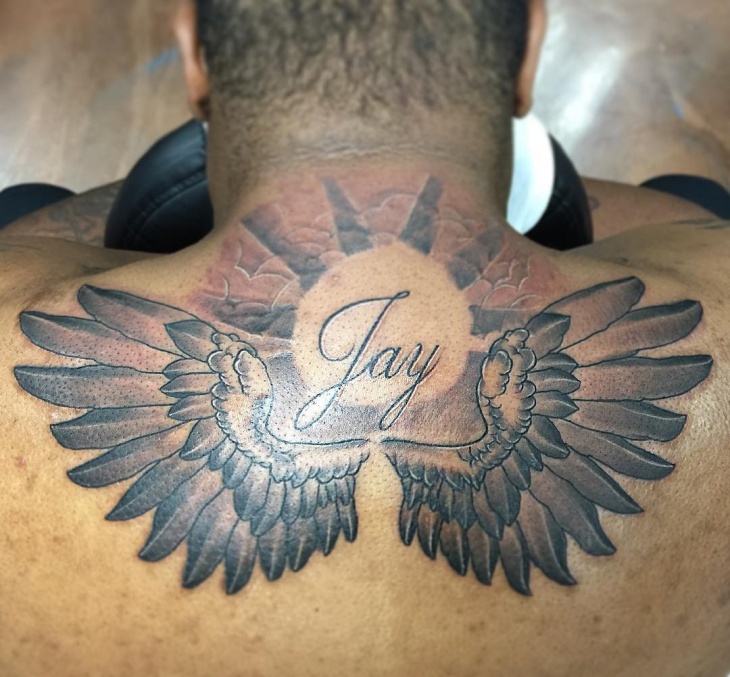 The design is plain and no added coloring. We love the simplicity behind this idea. This design is again well thought off and well designed. 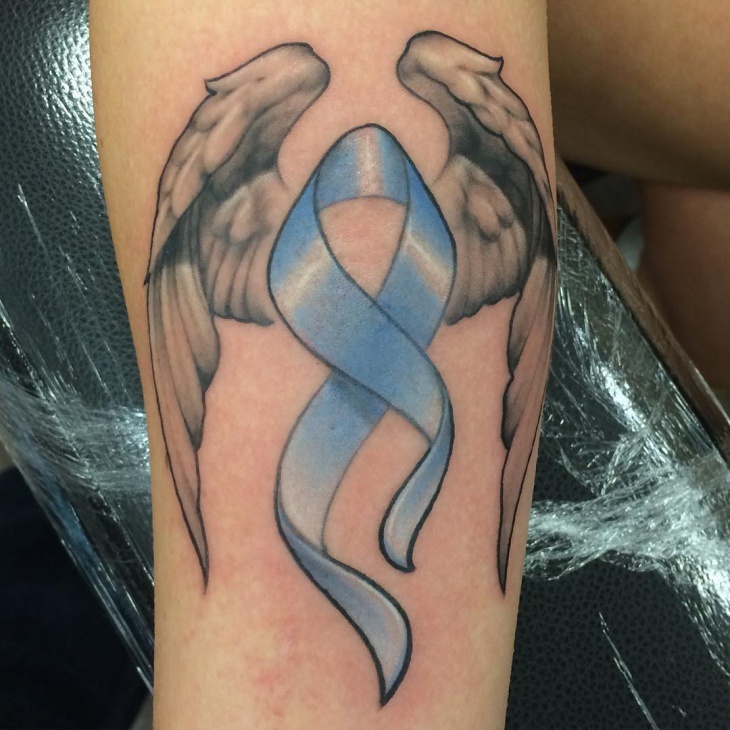 The light to dark shading done makes it look graceful and the place chosen for the tattoo is perfect. Firstly, we love the placement of the tattoo. 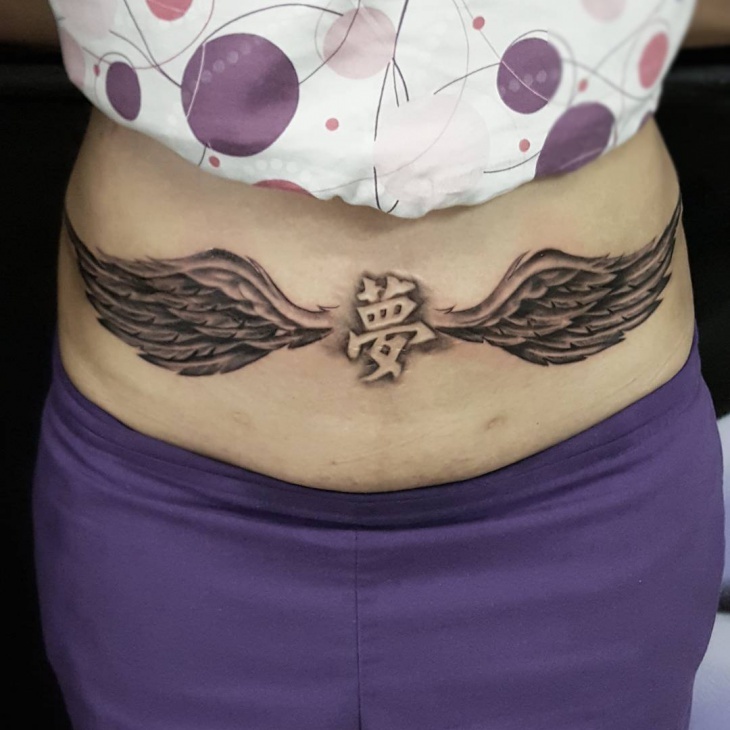 Belly is not where a lot of people would get a tattoo done so a tattoo like this is amazing. Secondly the feather wings is a wonderful concept. Each feather is drawn out so neatly and perfectly. We love the Chinese inscription in between. Overall this tattoo is visually appealing. 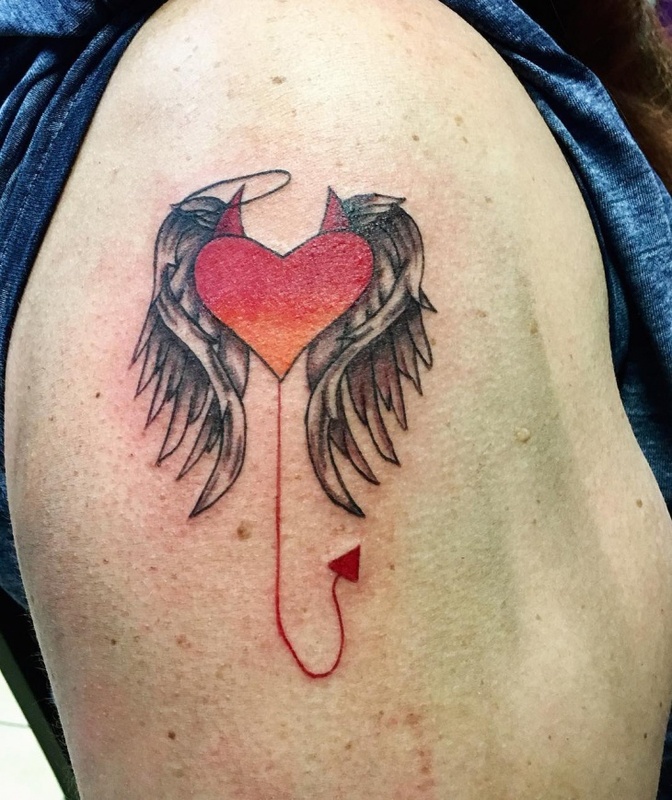 The concept behind this tattoo is good. The creative visualization done is brilliant with the way only one wing is used and how beautifully it has been thought off and designed. 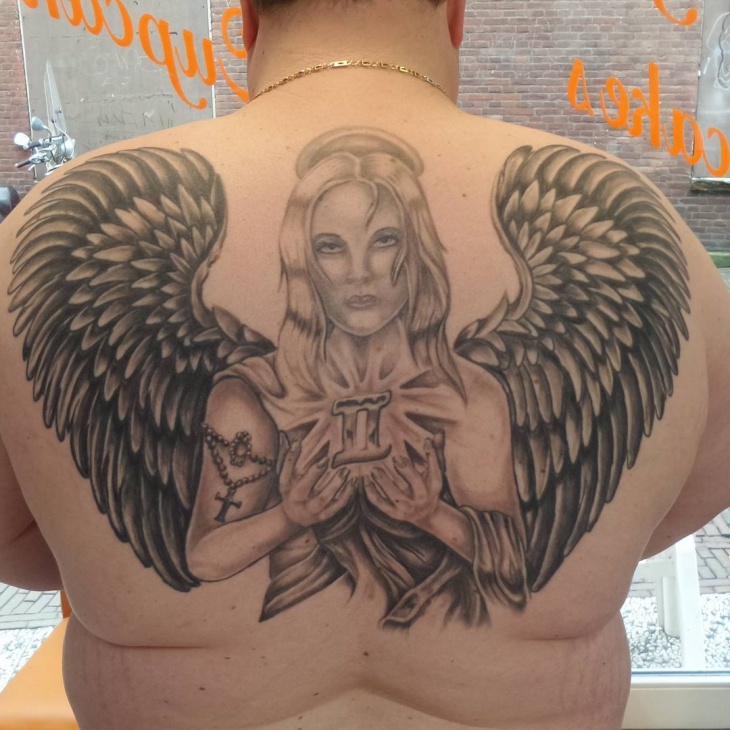 The perfect shading makes it look even better. We love the concept and design and would recommend this you. 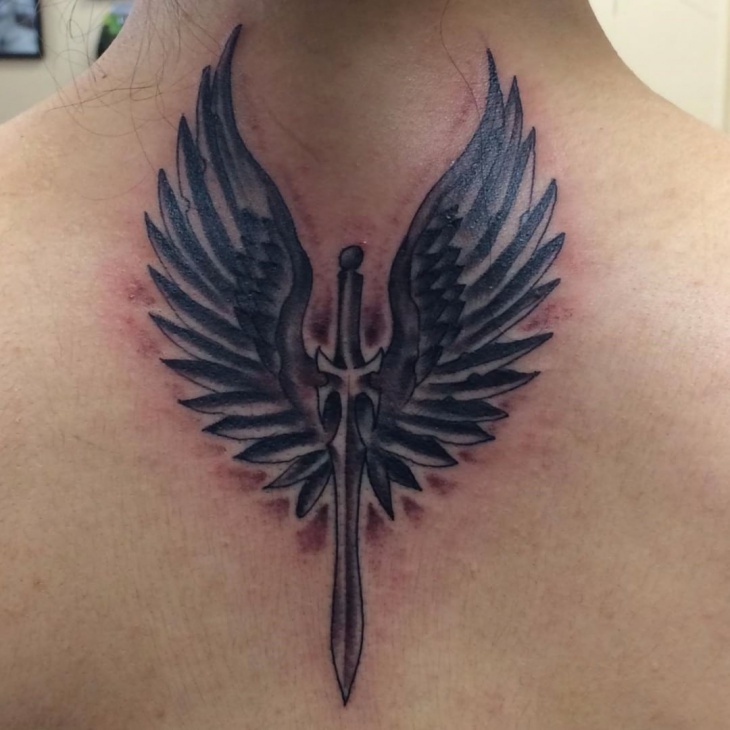 If you are looking to cover your entire back with something cool, this can be that design. It covers your entire back and looks visually appealing also. 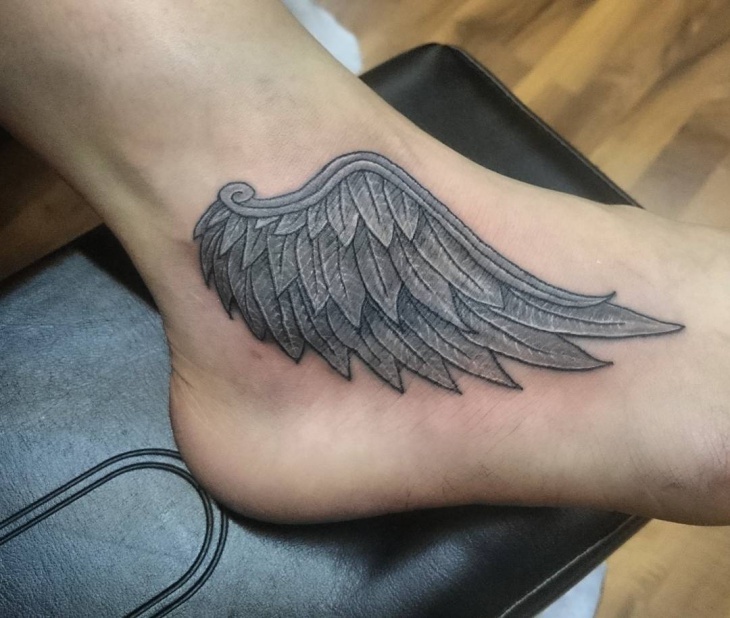 The design is dainty and the black and gray shading is done very well. 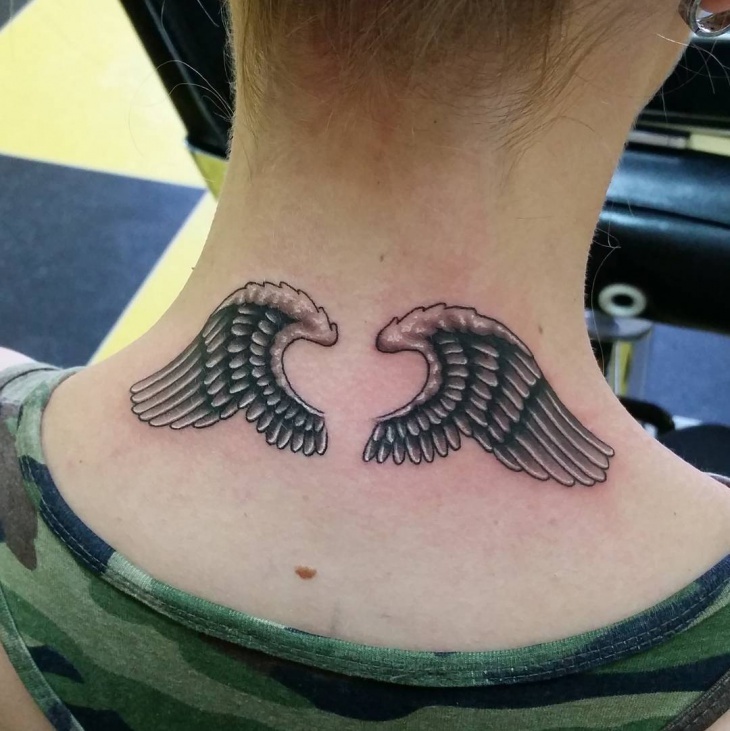 This angel tattoo is more inclined towards the spiritual aspect. There are sun rays added to the back of it depicting ray of hope. 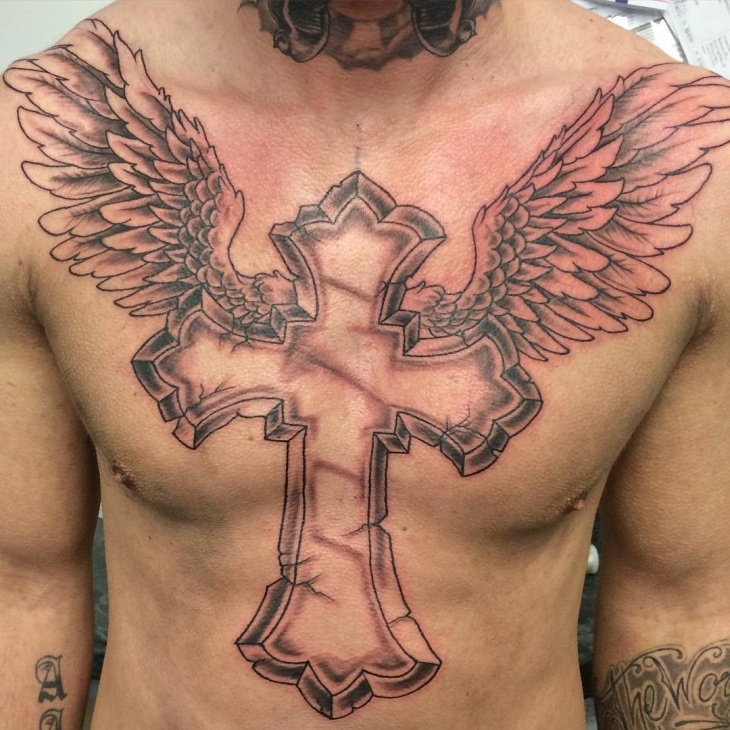 We would recommend this to anyone who is looking to get a design done on the spiritual aspect. This looks very nice and it can be tattooed on any party of the body. The red color has been added to put emphasis on the demon and to give out the evil vibe. These are few designs that we think you will love. 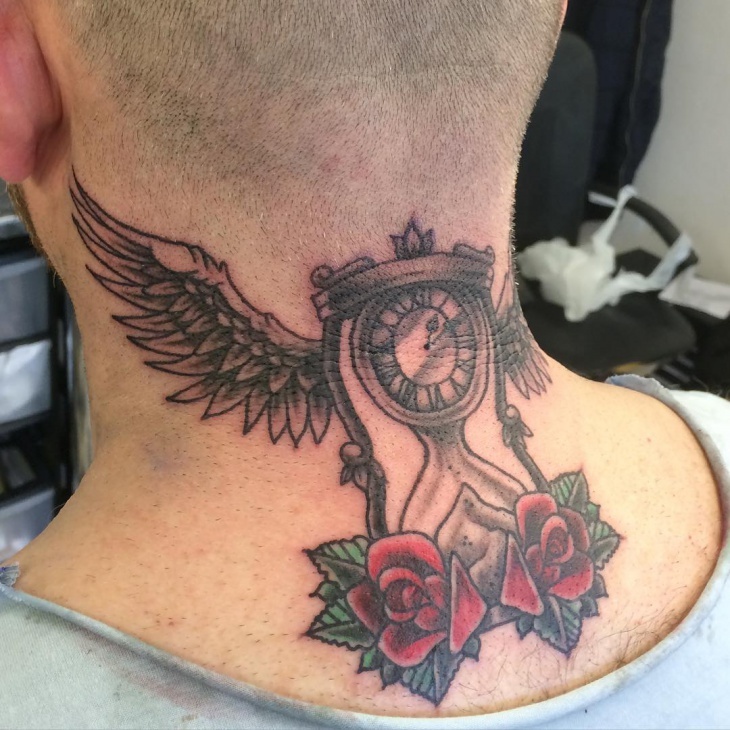 People like to put in a lot of thought behind their tattoo designs and we hope that with this collection, we managed to make things easy for you.